Prezi presentation templates are a blessing for people who regularly have to make presentations for submission. 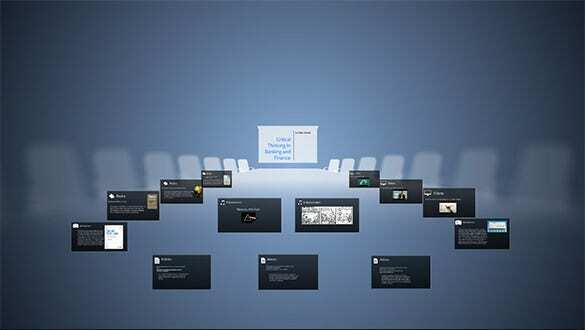 Prezi presentation templates are available in an extensive range of sample formats. These formats include numerous fonts, fun and captivating symbols such as bulbs and footballs, trees and others. Themes of the presentation include nature, scientific and robotic themes and many more fun themes. This presentation template is specifically intended to help you create a medical type of presentation. It features a human figure that you can label to talk about different body parts and their responses. It looks cool and at the same time informative. 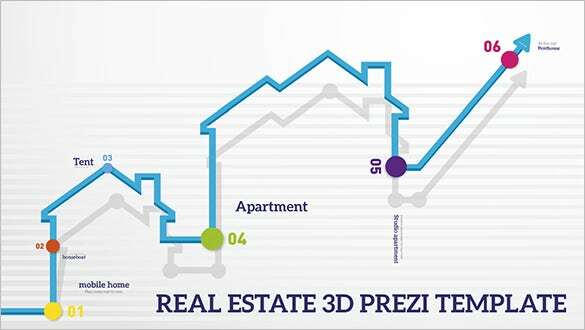 This is a Prezi presentation template particularly designed for the real estate industry. With the help of a graph bar, you can show the real estate trends and the prices going up or down in an effective and easy to understand manner. This is a creative Prezi presentation template that is basically aimed to be used by businessmen. It can be effectively used to create a business plan presentation or the like. With the help of geometrical shapes and designs, it shows attractive colors to grab attention of your audience. 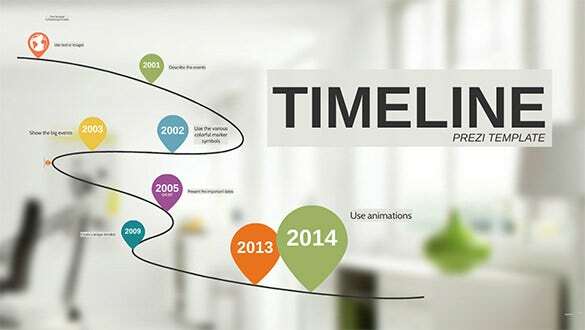 This is a cool Prezi template that allows you to create an effective timeline presentation. You can use the spaces provided and the animations available to give a cutting edge to your timeline presentations. It is a sample template that you can customize as per your individual needs. These example templates can be used for business presentations, restaurant presentations, medical presentations, sports presentations and several other kinds of presentations. These prezi templates are extremely popular amongst people from all fields and professions and almost always get a great amount appreciation from the viewers. 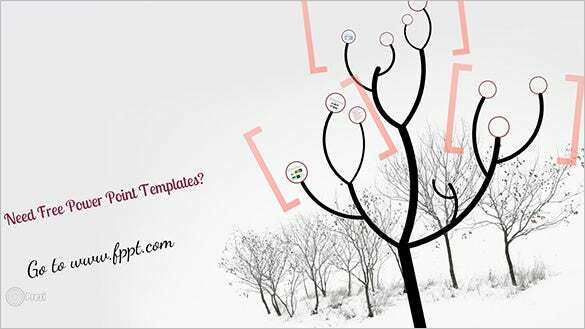 > Why Do You Need a Prezi Presentation Template? Prezi presentations are favorites among people who like quality in their work, along with good looks and aesthetic appeal. 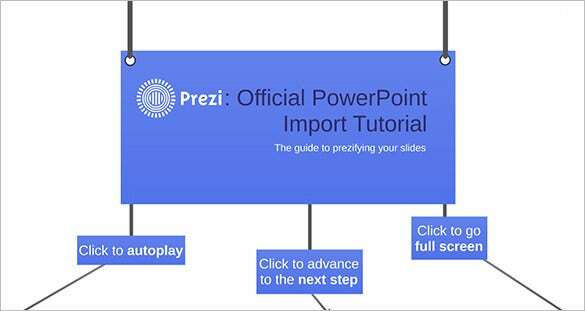 If you know that you can use Prezi software program to create impressive presentations, you can download one of these Prezi presentation templates to give a cutting edge to your work. You need Prezi presentation templates to save your time and effort on creating good looking, convincing presentations to show to your audience. Whether you are a student, businessman or a professional, you can use these templates to create presentations that look good and at the same time deliver the needed information in the most professional way. 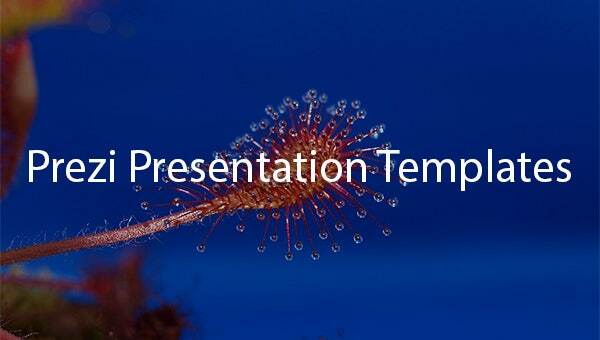 > When Do You Need a Prezi Presentation Template? 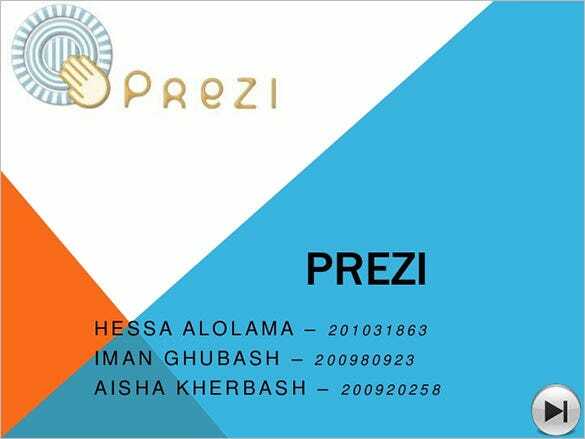 Prezi presentation templates are required at the time of making presentations using Prezi software program. 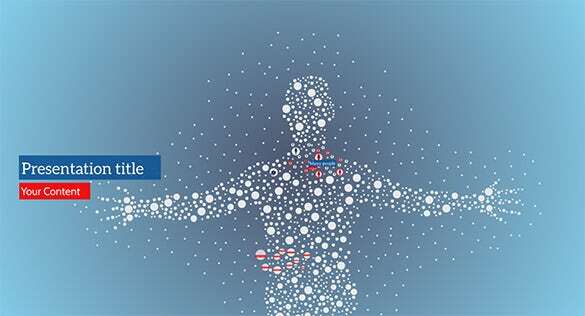 There is a plethora of Prezi templates to choose from. You can browse through them, select the one that best suits the subject and theme of your presentation, and download it quickly to start working on it. Students need to make presentations for their lessons and subjects. Professionals, researchers, medical care providers and others need to make presentations on a regular basis to show their skills and observations. Visual presentations are really helpful in making concepts clear. So, if you are also making a presentation for your purpose, make sure that you give it dominance with the help of these Prezi presentation templates. The Prezi presentation templates available here are designed by experienced professionals, and they are fully featured to include all the tools that you need to make a full-fledged presentation without any loophole. All these templates are error-free and all-inclusive, and are best suited to match your presentation requirements. They are 100% customizable too, so that you can completely modify them to fulfill the needs of your presentation subject. Just download the appropriate template and start working on it there and then.